A cutting die set that coordinates perfectly with our Sunny Vase Cling Rubber Stamp Set. Cut out tons of sunflowers for pop-up cards, home dﾎcor and more. These high quality, stainless steel, wafer thin, cutting dies are intended for use with most major die cutting machines. Original designs by Fran Seiford, Copyright 2016. Made in China. 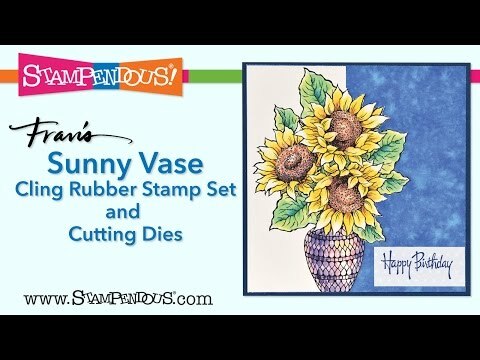 Sunny Vase Die Set was added to your cart.